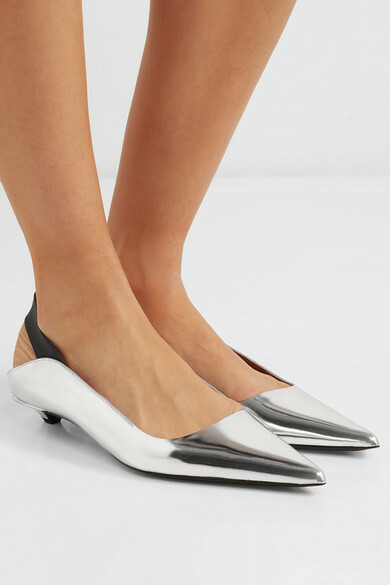 Proenza Schouler's mules have the elegance of a stiletto, but are set on a micro kitten heel so you can comfortably wear them all day. 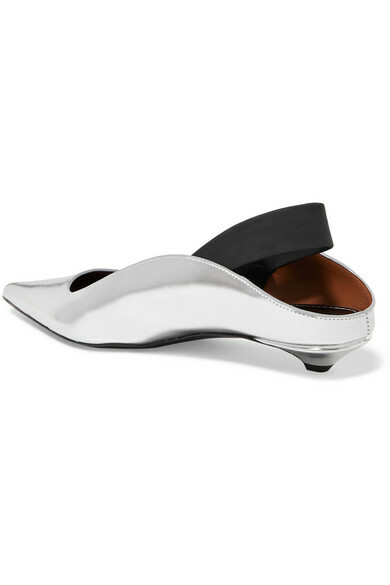 This pair has been made in Italy from metallic silver leather with a rubber slingback strap that provides extra support as you walk. 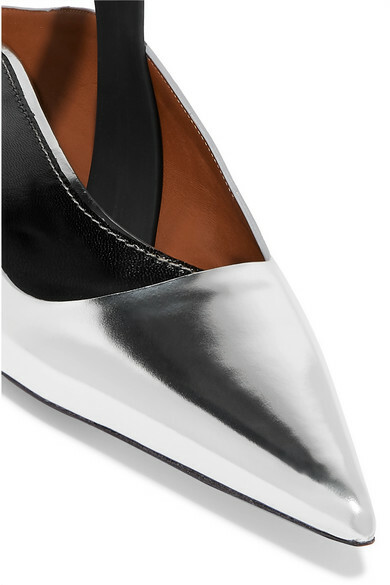 They will look equally great with a LBD or maxi skirt. Shown here with: Proenza Schouler Top, Jacquemus Skirt, Loewe Pouch, Charlotte Chesnais Earrings.